Carolrhoda Lab (R), 9781512439762, 344pp. Macy's school officially classifies her as "disturbed," but Macy isn't interested in how others define her. She's got more pressing problems: her mom can't move off the couch, her dad's in prison, her brother's been kidnapped by Child Protective Services, and now her best friend isn't speaking to her. 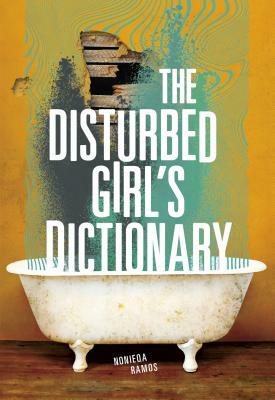 Writing in a dictionary format, Macy explains the world in her own terms--complete with gritty characters and outrageous endeavors. With an honesty that's both hilarious and fearsome, slowly Macy reveals why she acts out, why she can't tell her incarcerated father that her mom's cheating on him, and why her best friend needs protection . . . the kind of protection that involves Macy's machete.